The ACTRFS has donated two knapsacks to the Canberra Model Aircraft Club. 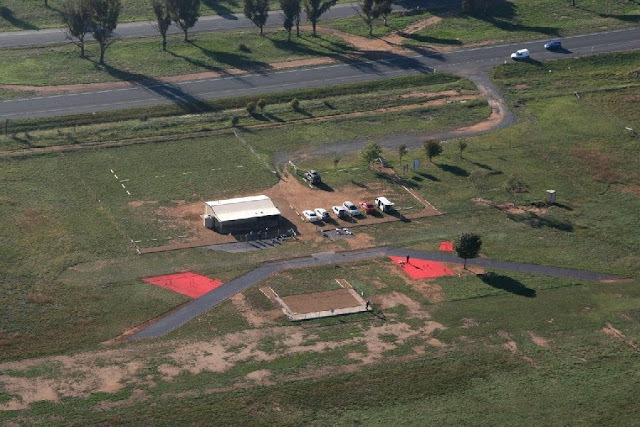 Because of the club's location in the Jerrabomberra Grasslands on the Monaro Highway, it is beneficial for them to have as much fire supression equipment as possible. The CMAC has strict policies about when and what aircrafts fly depending on the fire danger days. 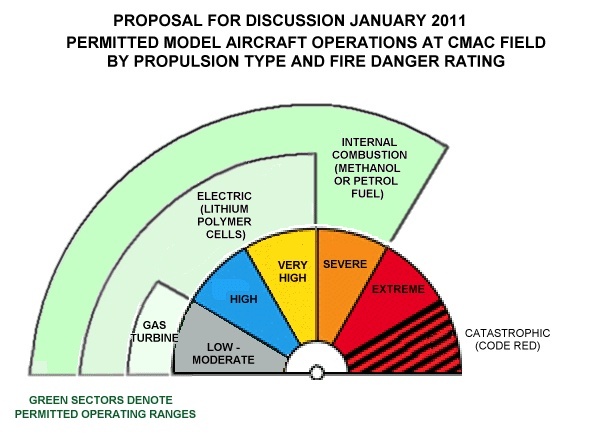 The chart they have developed in line with the fire danger rating days as to what aircrafts can operate. 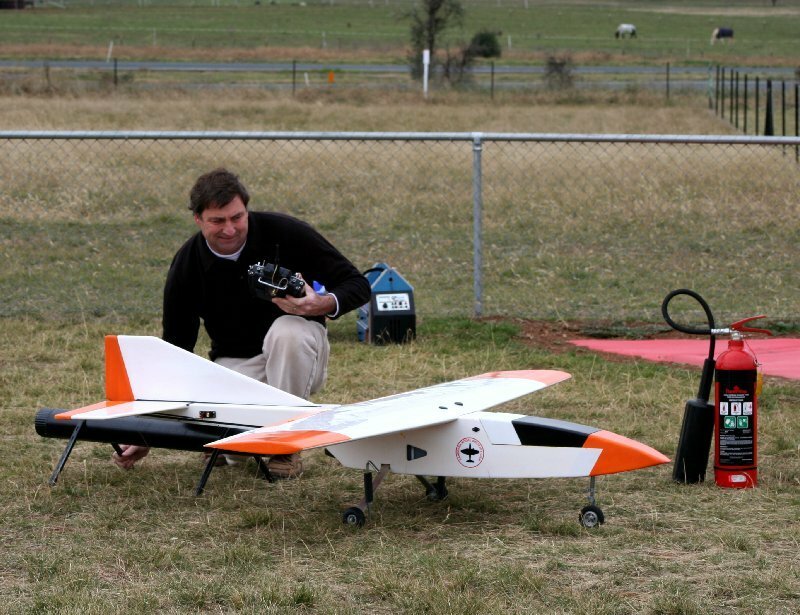 The facility is located in close proximity to the AMC, ESA Helicopter Base, the Snowy Hydro Southcare Base and the new ESA training facility. 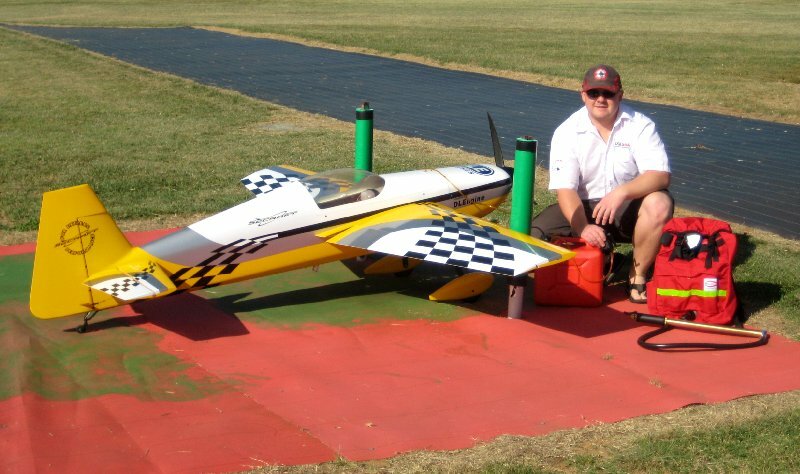 A pilot with his gas turbine motor. To operate these types of planes the pilot must have a CO2 extinguisher at the ready. A pilot fueling up his plane has one of the ACTRFS donated knapsacks sitting alongside.